Jewellers and watch makers were among the first to equip themselves with 3D printers for their prototyping and production needs. The costs of acquisition and operation of these 3D printers have, however, dramatically decreased in recent years. Previously, you had to pay at least €30,000 to have 3D printer worthy its the name for jewellery and watch making. 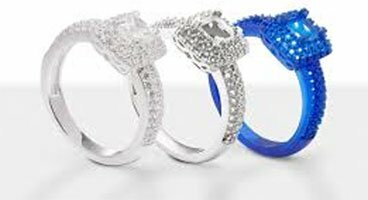 Today, the jewellery industry has access to 3D printers that are just as accurate and reliable for under €4,000! Real high definition 3D printers based on SLA (stereolithography) technology whose leader is the Form 2, a SLA 3D printer for jewellery for only €3,999 VAT included! With this 3D printer, jewellers and watch makers have a machine capable of producing extremely fine prototypes for jewellery and watches, and print lost wax moulds for production. A major development for this advanced technology that allows jewellers to focus even more on creation and innovation, vital qualities in this profession. Two uses can result in 3D printing for jewellery: making prototypes of new creations, or producing jewellery and watches. We will deal with the production part in the following paragraph. 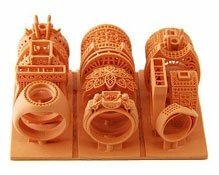 Equipped with a stereolithography 3D printer Form 2, jewellers and watch makers are able to create extremely detailed jewellery models and master models, and perfectly functional prototypes. With an accuracy of 25 microns and a print surface condition that rivals a €50,000 printer, the Form 2 is the perfect tool for prototyping jewellery and watches , whether the models are functional or not, and, with 3D printing, you will have complete freedom of shapes! Jewellers and watch makers are now able to offer their customers prototypes of totally unique, custom creations at a ridiculously low cost, to always attract more and adapt to customers' cravings for differentiation. 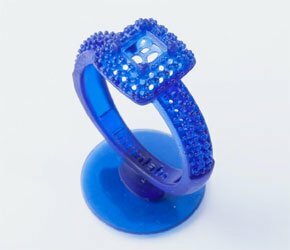 By perfectly reconstructing all types of jewellery, existing or not, jewellers who are equipped with a 3D printer are giving themselves every opportunity to expand their customer base and offer a unique service by sending custom prototypes through the post, for example. Since the cost is minimal, testing and adjustments are almost unlimited. 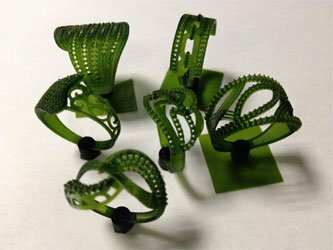 As with other industries concerned by the emergence of desktop 3D printing, becoming equipped with a 3D printer for jewellery and watch making makes it possible to save a considerable amount time and allows jewellers or watch makers to focus on high value added tasks, such as creating new products. The "production" part is handled by an ultra-precise and fast standalone 3D printer for perfect rendering of your beautiful creations, at a very low price (it costs about €1 for a ring prototype and only takes about 20 minutes to print). The 3D printer for jewellery and watches is not only a prototyping tool. Thanks to the use of high-quality castable resins, like that of Formlabs, jewellers are now able to create moulds for lost wax casting. Printing lost wax (or castable resin) moulds on a 3D Form 2 printer enables the printer to be used as a true production tool for your creations. Thanks to the Form 2 3D printer, jewellers and watch makers now have access to a reliable, accurate and fast prototyping and production tool, all for only €3,999 including VAT. 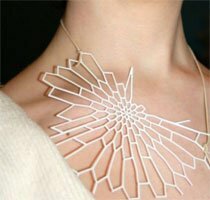 The 3D printer could also be used as a direct production tool for fashion jewellery. The fineness of the print is such that you will be able to create as much fashion jewellery as you want (rings, bracelets, necklaces, watches, etc. ), possibly unique, and in all cases, for a minimal cost! 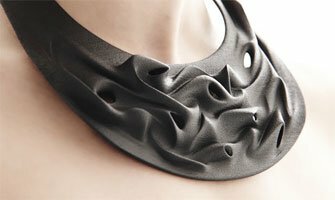 In terms of creating fashion jewellery such as that presented below, it is possible to use a high-performance fused deposition modelling 3D printer, such as the Ultimaker 2+. This way you will have access to a wider range of materials and colours and will no longer be confined to the use of photosensitive resins. 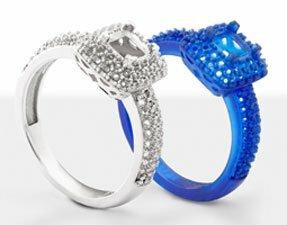 Which 3D printer for jewellery? You will have understood through this article that SLA technology is by far the most able to provide results matching the requirements of jewellers and watch makers. 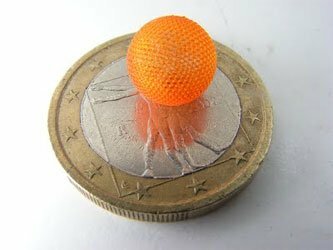 The accuracy and quality of the renderings required for printing very small, detailed pieces is very high, and only stereolithography 3D printers are able to meet this level of requirements. As for the choice of the Form 2 to meet the needs of the jewellery, it is not by chance. 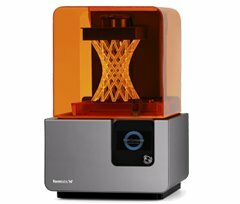 We only select the best equipment, and Formlabs is simply the pioneer and global leader in desktop SLA 3D printing. The Form 2 is surrounded by a large, staunch user community, and the previous version, the Form 1+, in particular, was ranked the best 3D printer by the 3D community Hubs out of 450 3D printers. Formlabs resins are also varied and renowned as among the best on the market. In terms of fashion jewellery, you can, as mentioned above, use a very precise fused deposition 3D printer. 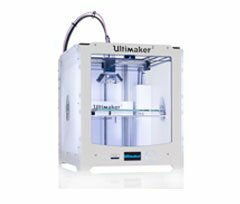 The most accurate desktop fused deposition 3D printers on the market are those in the Ultimaker 2+ range with a 20-micron layer height! The perfect 3D printer for jewellery and watch making. With the Form 2, you have access to maximum accuracy, for both prototyping and production. For fashion jewellery prototyping and production, the Ultimaker 2+ 3D printer is currently the most accurate and most versatile on the market! It also allows you to interchange nozzles from 0.25 mm to 0.8 mm!